Travel Ticket travel themed save the date bookmark to send to guests to ask them to keep the wedding date free. Fully personalised design with a colour scheme based on any two colours. 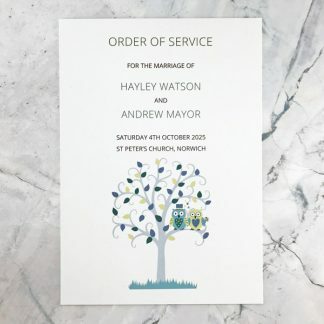 7 x 18.5 cm and made from 300 gsm white or ivory card with a smooth or textured finish. A travel themed save the date bookmark in a design which co-ordinates with the Travel Ticket range of wedding stationery. Save the dates are sent to guests to let them know that a date has been set for the wedding and to ask them to keep the date free. 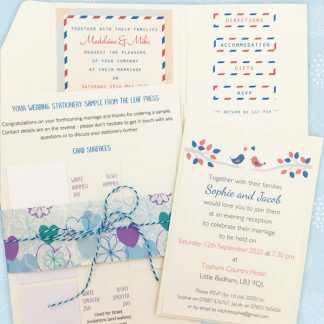 Invitations can then be sent much nearer the wedding date without worrying guests will be booked. This is also a help to guests for a wedding taking place abroad, which they may need to plan and save for. The Travel Ticket design features a world map in the background, an airmail style striped border and a circular logo – similar in style to a passport stamp. The design on these travel design save the dates is based on two colours, which can be chosen from the wedding stationery colours page. The text on the bookmark can be fully personalised but would usually include the names, date and location if this is known. Each travel themed save the date bookmark measures 7 x 18.5 cm. 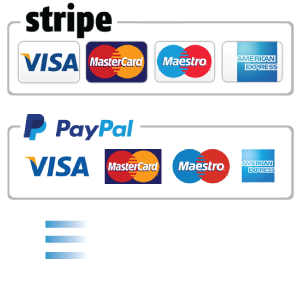 It is made from 300 gsm white or ivory card with a smooth or hammer (textured) surface. The design is printed using smudge proof and fade resistant pigment ink.